Moto X and Nexus devices have great feature that allows the users to access Google now from anywhere, even through the lock screen. 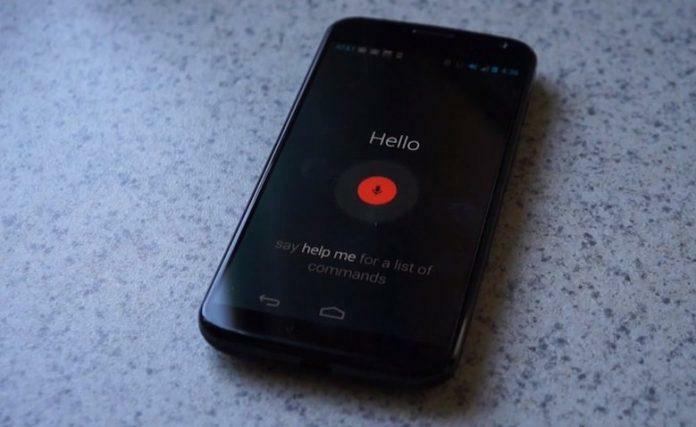 Just like SIRI in iphone, Google has enable the feature of voice recognition, even your phone is in lock mode. It was named as “TOUCHLESS CONTROL” in Moto X. Read more about the Moto X review and its upcoming device and greatest competitor “Moto X+1” smartphone. The touchless control enables the users to use their smartphone to have live interaction and it looks as if you are talking with your phone. The siri feature in Iphone is not well advanced the way “Motorola” and “Google” has developed in “Android”. The above feature “TOUCHLESS CONTROL” can be enabled in any android device using a very small trick, which doesnt need any rooting or custom rom procedures. You need to download two apps “Google now” and “Google now Launcher”. Install both the apps in your android device: “Google now” and “Google now Launcher”. Select language as US ENGLISH, as Default language. 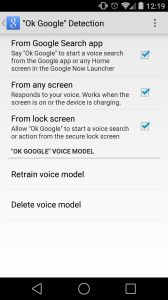 A Simple Trick to activate “Touchless control” make any android device to access “OK GOOGLE” from Anywhere.